Story: When Morgan Stryker needed to gather a team got a rescue operation for CIA in Manigua, he asked Jack to join which he did. After the mission, Jack was the one to suggest the formation of Codename: Strykeforce . 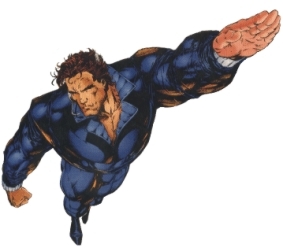 Icarus has not been seen since Codename: Strykeforce were bodyguards for Bill Clinton in Russia . Skills & abilities: Flight capability. How Icarus flies has not been revealed but he has hollow bones like a bird.